Dynamically integrate your master data to easily track and follow up your production in real time. 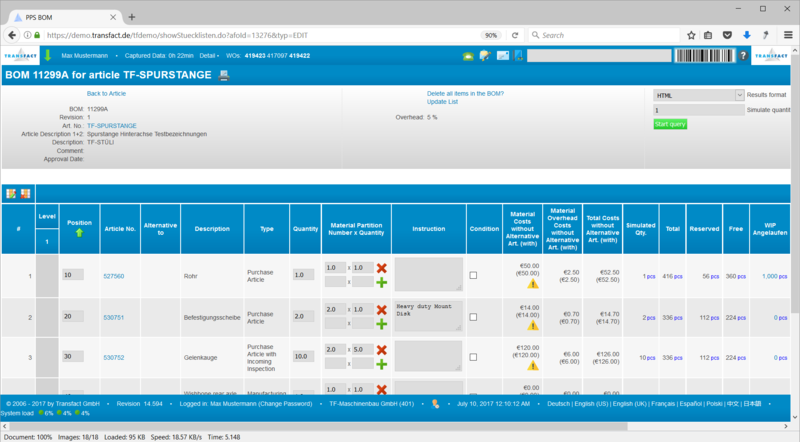 The Transfact PPS provides you and your employees with a very clear overview of your production for monitoring and decision making. And because we know the importance of the specifics, the system also allows you to dive into the details of any particular order, article or resource, so that you are better informed and can make the optimal decisions for your company. 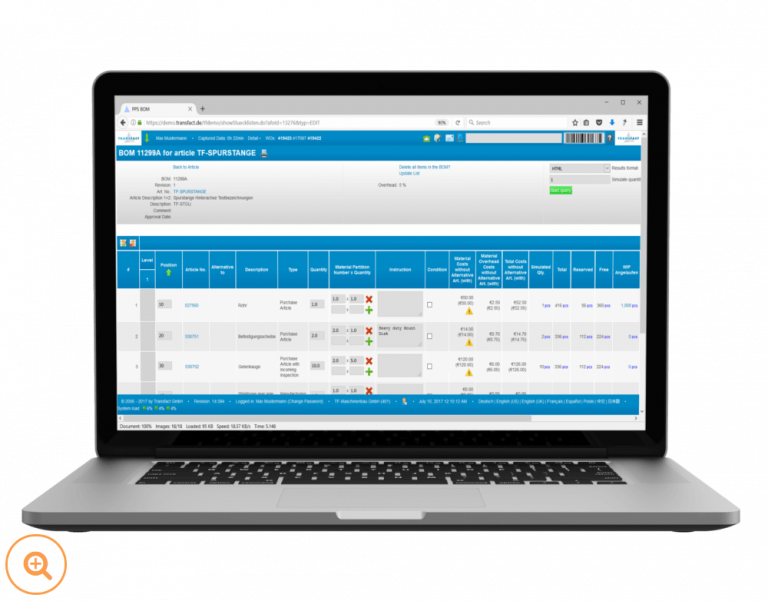 The Transfact System provides all the features you need to create, maintain, control and distribute the master data for your production: Routings, Bills of Materials, Measurement Plans, Checklists, Production Areas, Resources, etc. Have them all centralized with full revision control in one single system to model your production. 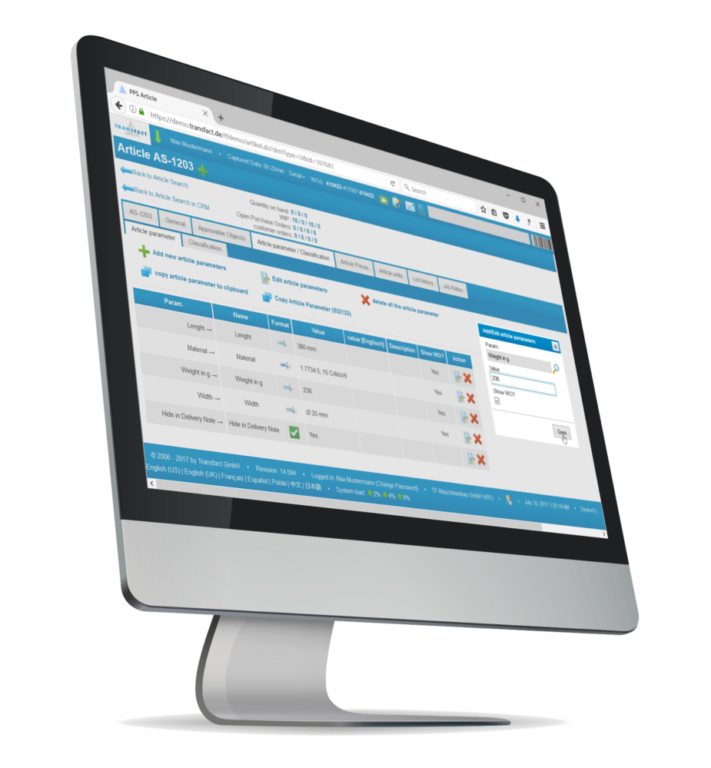 Access to general and detailed information about the current status of your production at anytime. Directly on your browser: machine status, progress on running batches, current active process steps, WIP quantities, delays and estimated times. 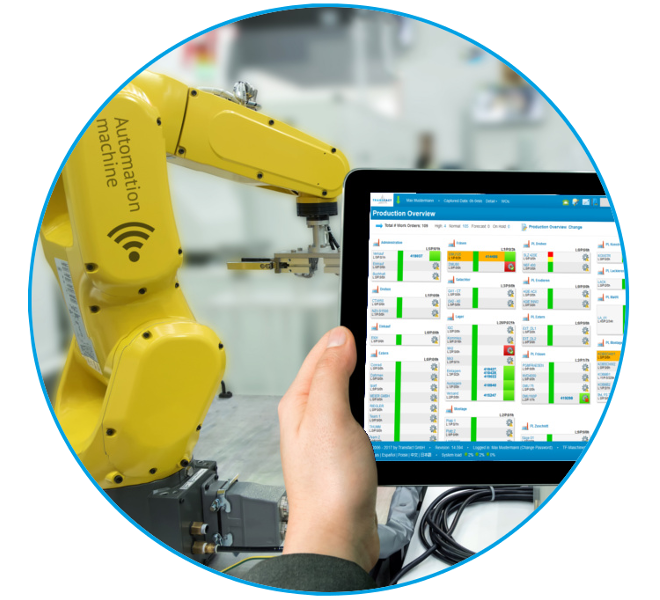 Provide your employees with detailed information on each of the production steps: machine, operation and process instructions as well as setup, execution, operator and waiting times. All relevant information for an article easily at hand. Stock & production quantities statistics and history at a glance. All costs and price conditions available for reference and maintenance in clear and exportable overviews. 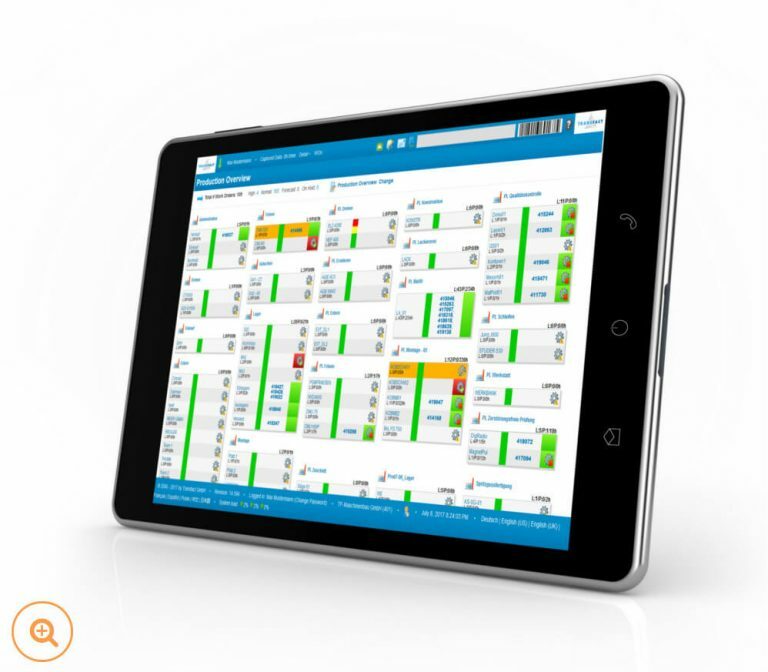 Automatic manufacturing cost calculation with detailed breakdowns and historical data. Specify setup times, execution time per batch, direct operator times and even waiting times for each step. Automatically print support forms or reports, before and/or after each step. Define preferred resources and required tools for each step. Specify additional reference documents and instructions to be shown at each individual step for reference. 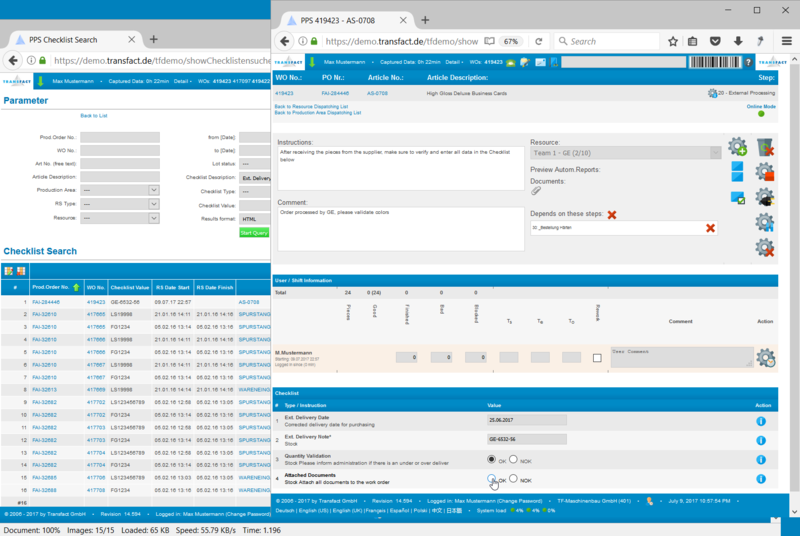 Full automatic revision control on all routings. 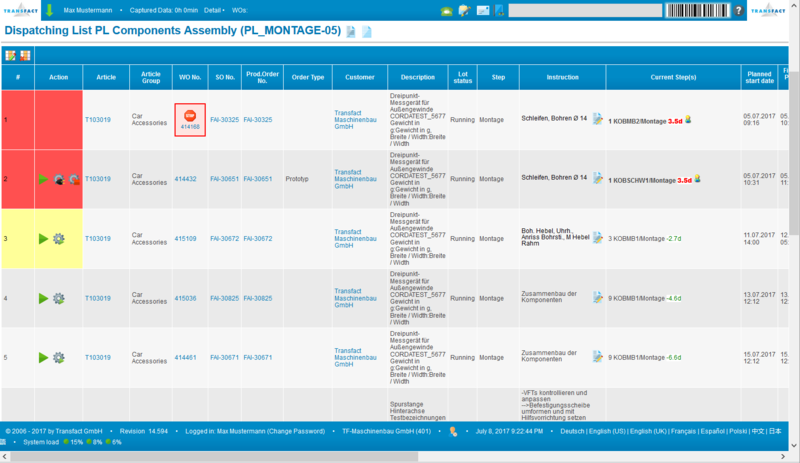 Have all your production areas displayed in one view and get the overall status of production in a single-screen. 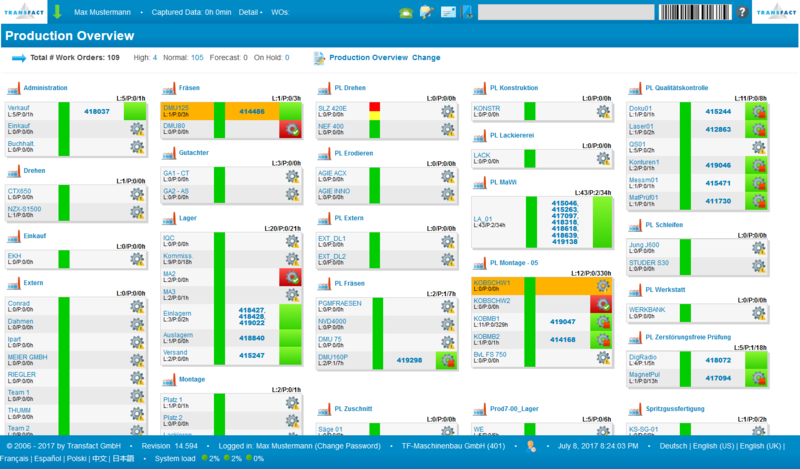 Allow each employee to configure their own view to see the production areas they are responsible for. Machine status, running batches, current articles being processed, total planned production times for each area and much more, all displayed directly in your overview. 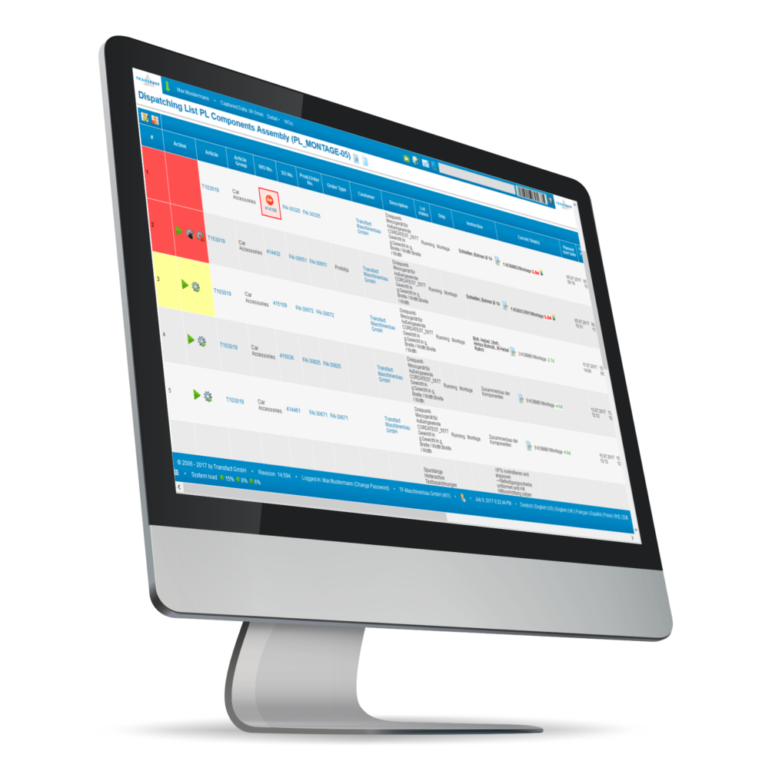 Direct one-click access to prioritized dispatching lists for each resource or area. 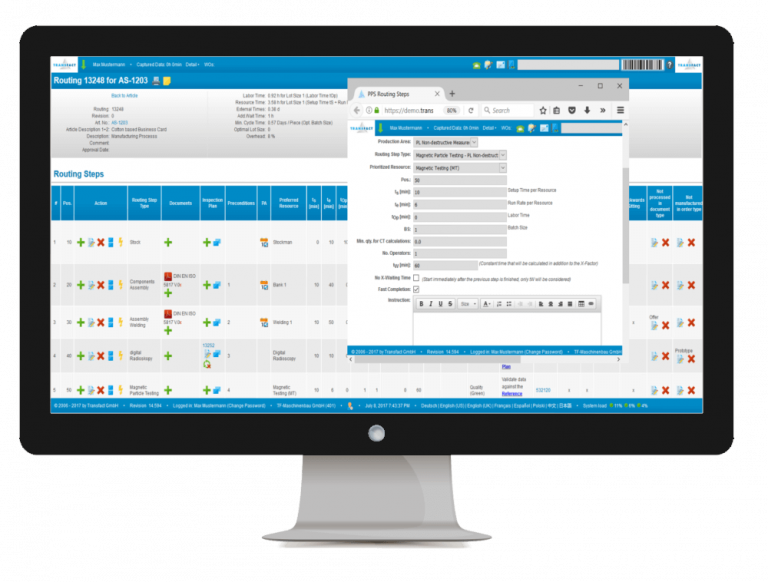 Automatically sorted Dispatching Lists display the work orders ready for processing on each machine, resource or production area. Color codes allow your employees to quickly identify orders with higher priority, delayed or in danger of being delayed. 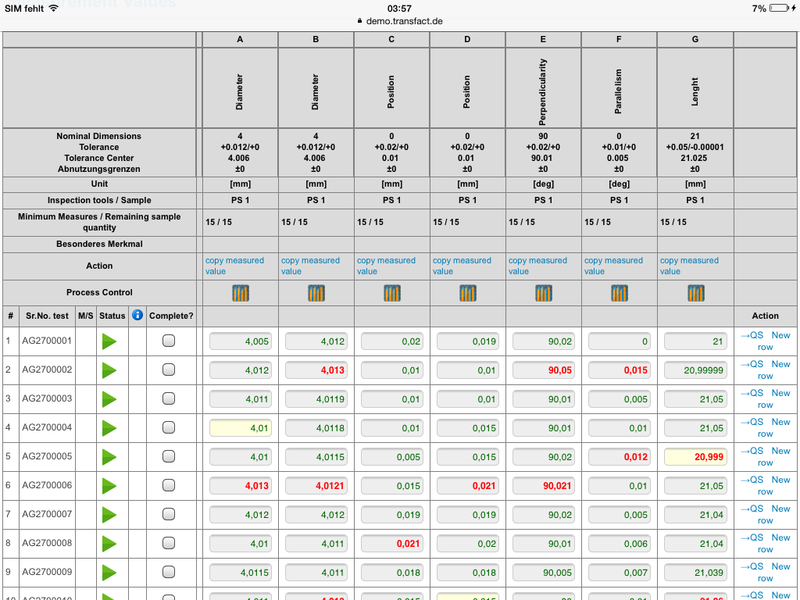 Remaining times, idle times and expected completion times are automatic calculated and displayed by the system. Consider multiple variables for the automatic sorting of the dispatching lists, such as: priority, delay, remaining estimated time and even individual factors set up for each article, based on your experience. 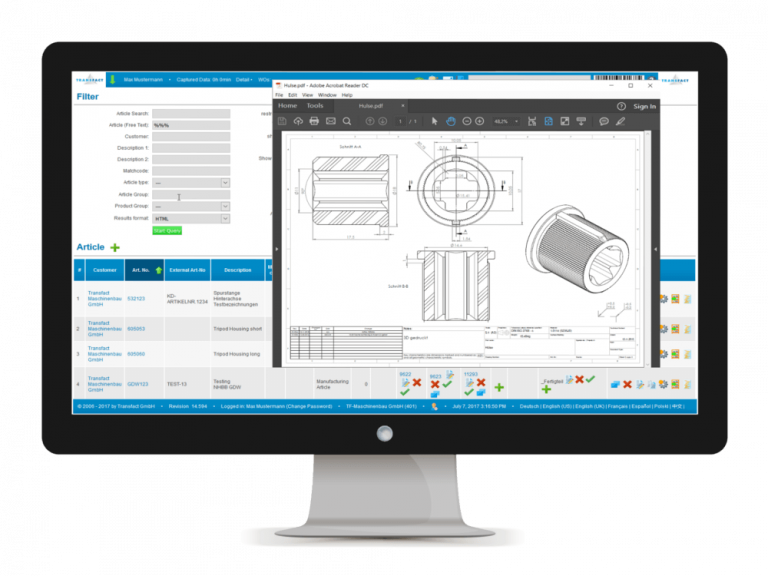 Integrate control measurements into specific steps of your routing directly in the system. Define measurement types, expected values, control limits and sample sizes for each measurement. Full revision control on the measurement plans. Real Time SPC-Data diagrams, reports and trend-charts available with one click. 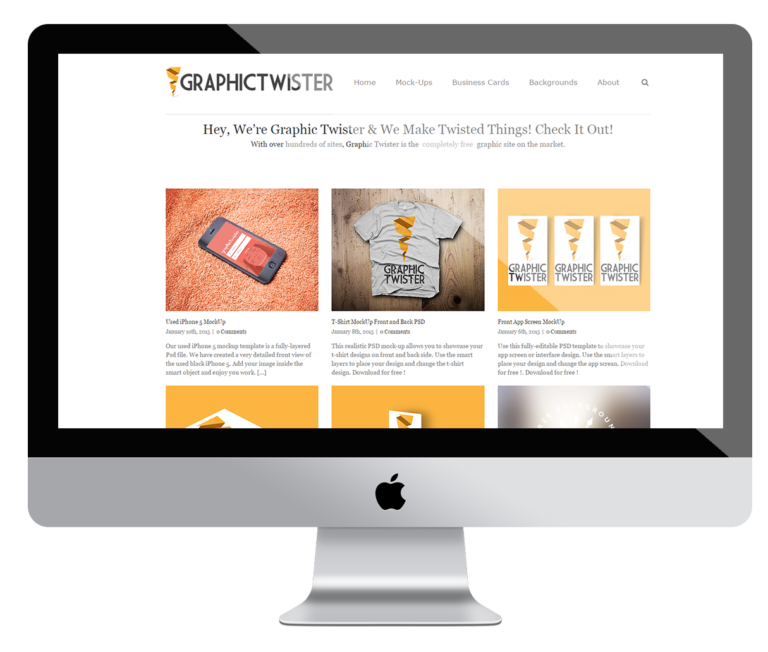 Gather various types of information on a certain step in a structured way. Define mandatory or optional fields for your employees to complete a step. Use the checklists report to review the tracked information by date, product, checklist-type or using a general search. Have full revision control on your checklists. Trigger automatic functionalities on specific steps in the routing. 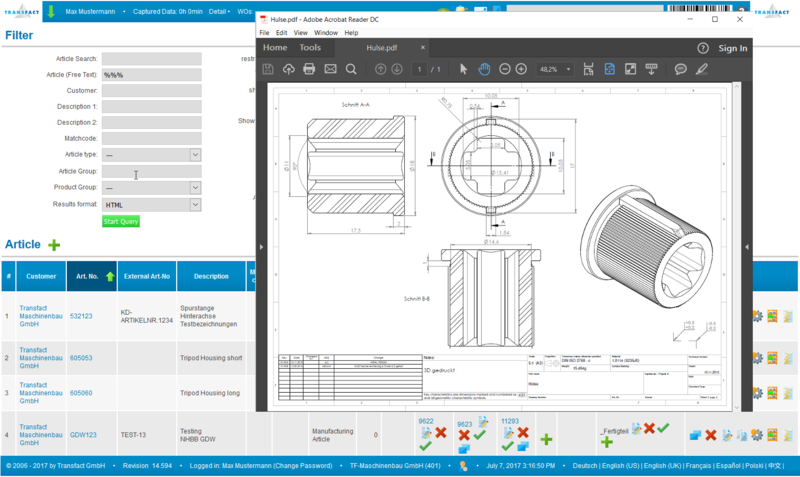 Special checklist types also allow you to activate automatic functionalities such as: add a predefined set of rework steps if a certain check failed or administrative tasks like automatically print the list of components to be commissioned from stock before the lot goes to production. 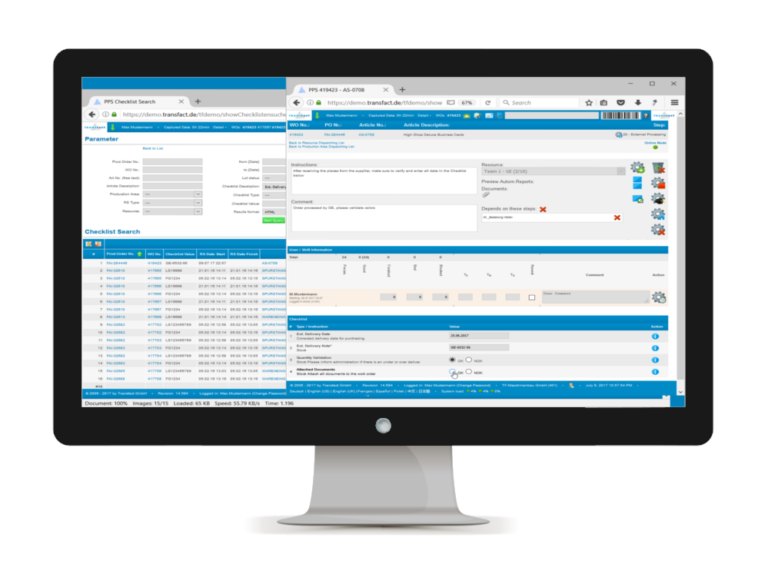 These special functionalities are all available to be freely configured into any routing step and allow you automatically trigger certain activities that would otherwise have to be done manually, therefore saving you useful time. 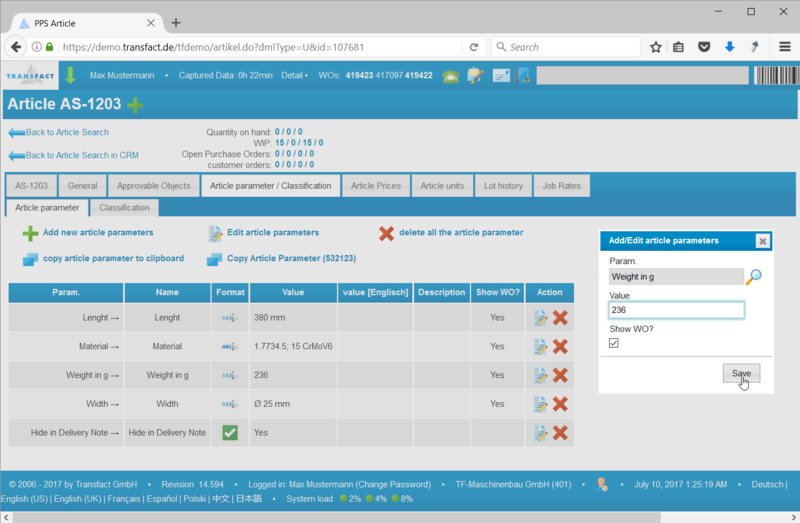 Manage and configure any units you require. Handle alternative components and article-specific tools from the BOM directly. Automatic commissioning from stock for selected components. One-Click cost calculation for the full BOM-Tree. Integrated stock quantities check for simulated quantities. Full automatic revision control for all Bills of Material. Full control on the search criteria used to find the data you are looking for. Easy to use, fast and easy to find. Search articles by ranges, parameters, status of their master data or even specific customers. Choose the information you’d like the search results to include. 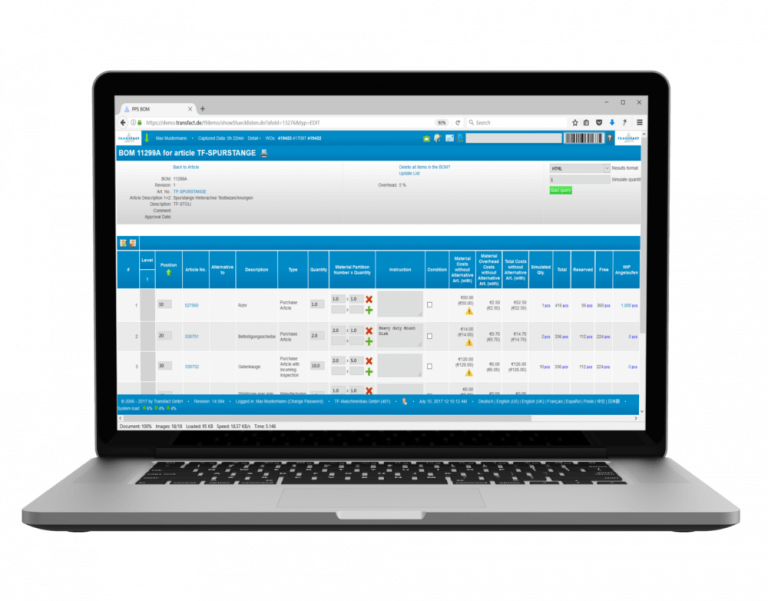 Based on the routing times, quantities, work in progress and shift schedules, the system provides you an overview of the load on each production area or even on each planned ressource. 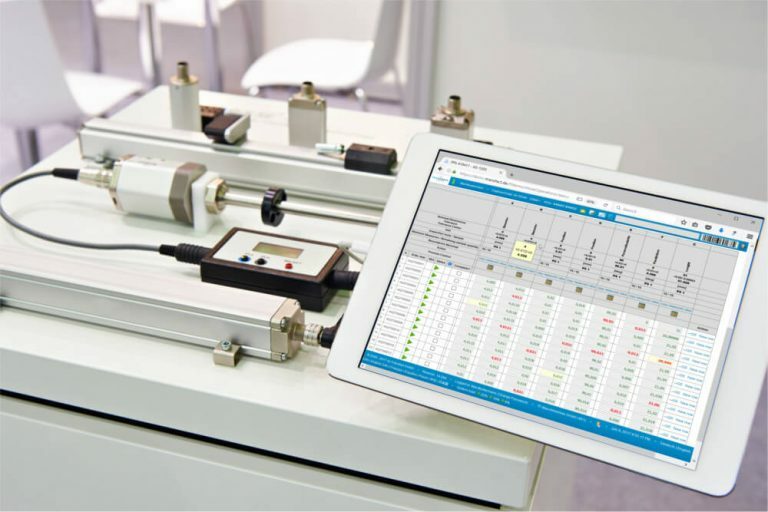 Identify and manage bottle necks in your production lines. Easy re-scheduling of work orders and resource re-assignment.